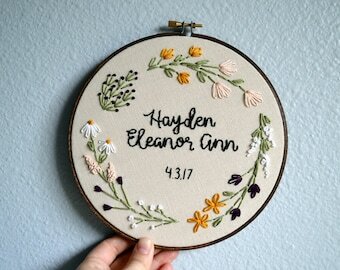 Announcement Hello, and welcome to my little embroidery shop! All of my items are customizable. If you see something that you'd like with a different quote, or different design, just let me know! I love doing new things and I'd love to hear your ideas! © 2013-2018 Breezebot Punch, All Rights Reserved. Please do not use images or recreate anything seen here without my authorization. Follow me on instagram for lots of promotions, giveaways, and behind the scenes stuff! 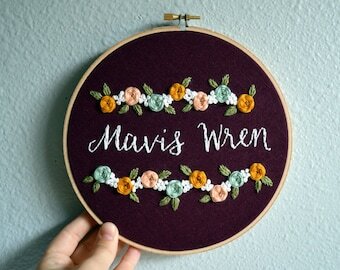 Hello, and welcome to my little embroidery shop! 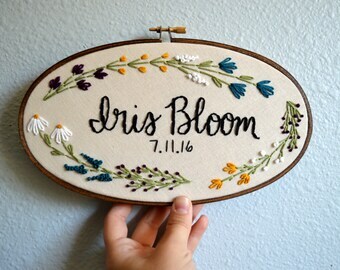 So cute/unique& the perfect gift for a new baby. My sister (who now has 5 hanging in a gallery wall) says she gets compliments on them every time people come over. Packaging is sweet & ships quickly! Creating things has always been a great joy for me, so when it became a real possibility to create a job from that, I leapt at the opportunity. Each piece is lovingly designed and hand stitched by me. 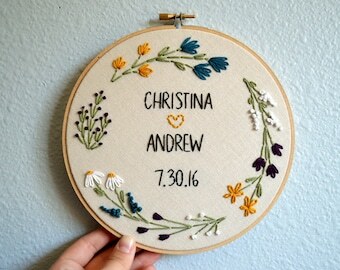 I strive to create unique designs with happy and whimsical messages. 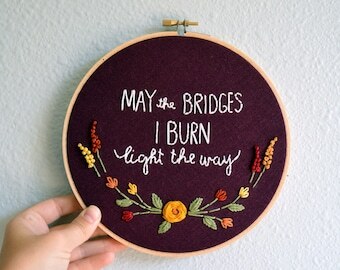 I love making new things, so custom orders are always fun for me. 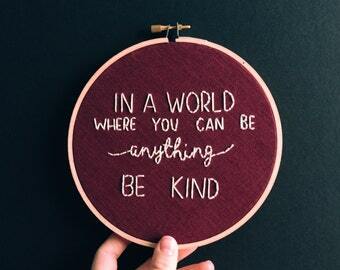 If you have an idea or a special quote I'd love to hear it! Hello! I'm Breezy, the face behind Breezebot Punch! 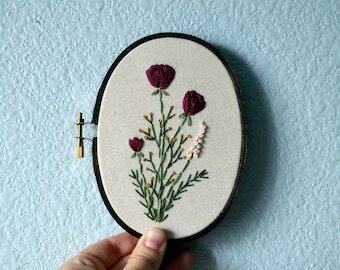 I do everything from designing and hand stitching each piece to the shipping and packaging. Thanks so much for visiting Breezebot Punch! 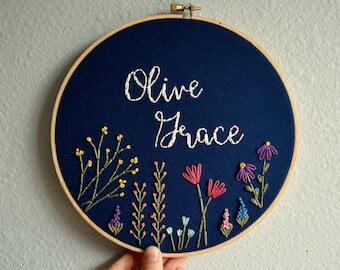 Here you'll find my embroidered creations, patterns for those that want to DIY, and also some oil paintings! Creating things makes me happy and I want my creations to make you happy too! If you are in any way unsatisfied with your purchase, please let me know and I will do whatever I can to make you happy again. In the event of receiving a damaged or incorrect item, please contact me as soon as possible for refund and/or replacement instructions. 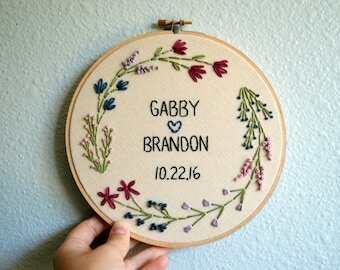 **Shipping times: Most of my embroidery pieces are made to order, and take approximately 3-4 weeks to recreate before they are shipped. 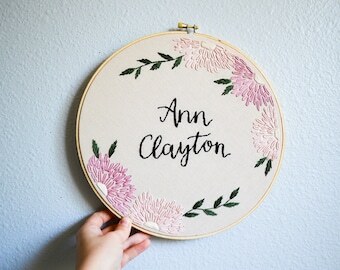 Custom embroidery takes about the same time, but could take more or less (I will let you know exactly how long it will take me with your quote). **Please consider purchasing shipping insurance or upgrading to Priority shipping (which includes insurance). I am not liable for lost or damaged mail. I'm always happy to help if there is a problem, but it is out of my control once it is shipped. 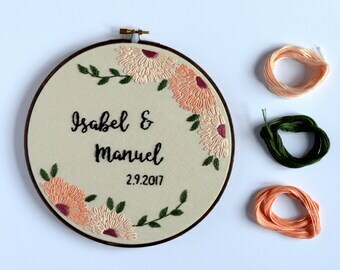 **International orders: International shipping times vary, but can take up to 6 weeks for an order to reach you after your hoop has been created. I cannot guarantee ship times for international orders. **Customs fees: The buyer is responsible for any customs or fees associated with international orders. All items are handmade with great passion by myself! 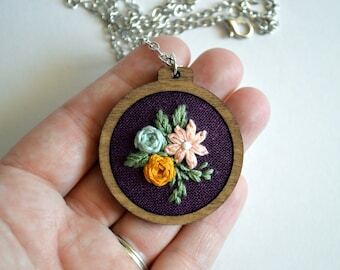 I love creating things, and I think handmade items have so much more charm than factory made items. However, please keep in mind that slight imperfections are entirely possible, as I am only human. I try to take photos and describe the items as close to reality as possible, but every computer screen is different! Please note that colors may vary slightly from the photos. My current turnaround time is 3-4 weeks, and shipping within the U.S. only takes another 3-5 days. International shipping *usually* takes 1-2 weeks but can take longer. Just send me a message before ordering! I can usually accommodate your timeline, but just check first!